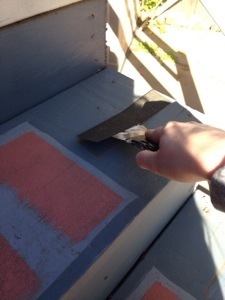 Eric can’t stand painting…He’ll gladly clean all the windows, spend hours working in the yard, and disinfect toilets before you see a paint brush in his hand. 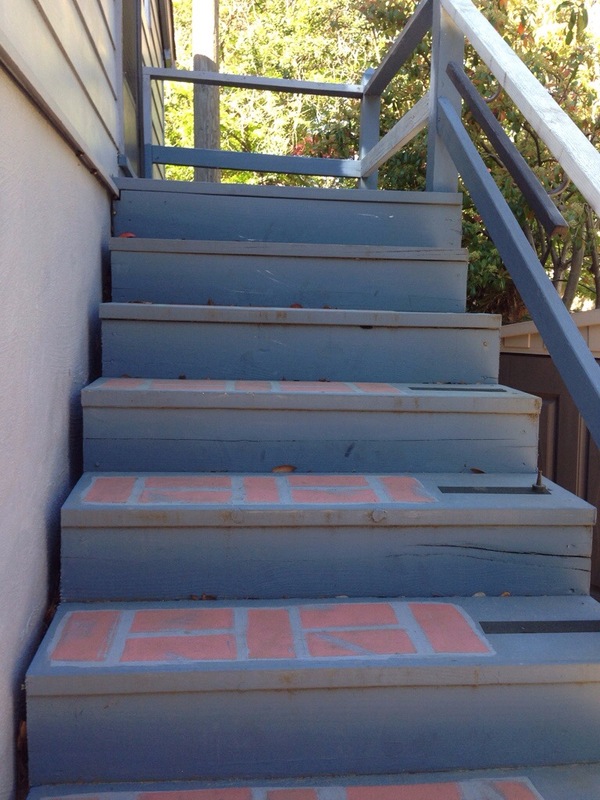 How about those faux brick steps eh? Stylish right? (Let’s Pinterest those babies!) 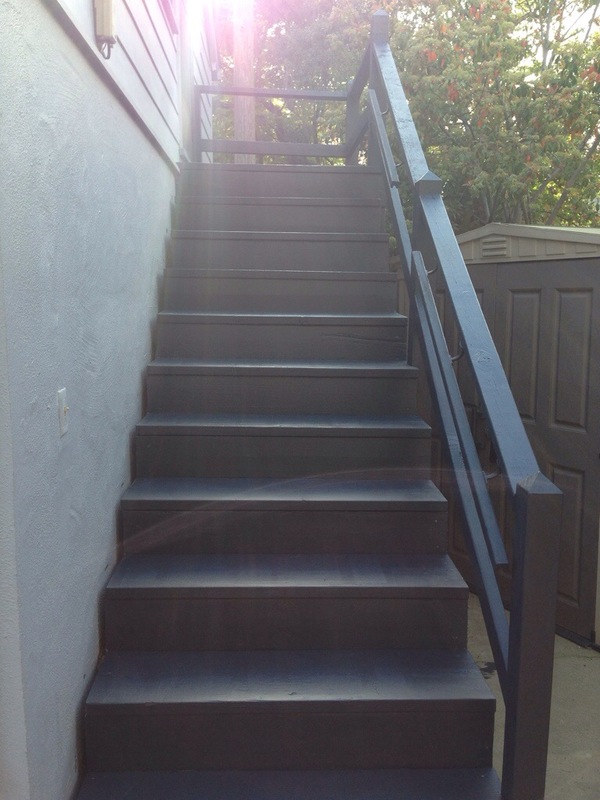 There were about 6 different colors painted on our granny suite stairs from the previous owner…Blue, black, white, brown, gray, and of course faux brick red. I was ready to tackle this ugliness, (hubby gone on a guys trip), my paint matched up and ready to go when disaster struck…Sidelined by a stomach bug. That’s when hubs came home and went to work. 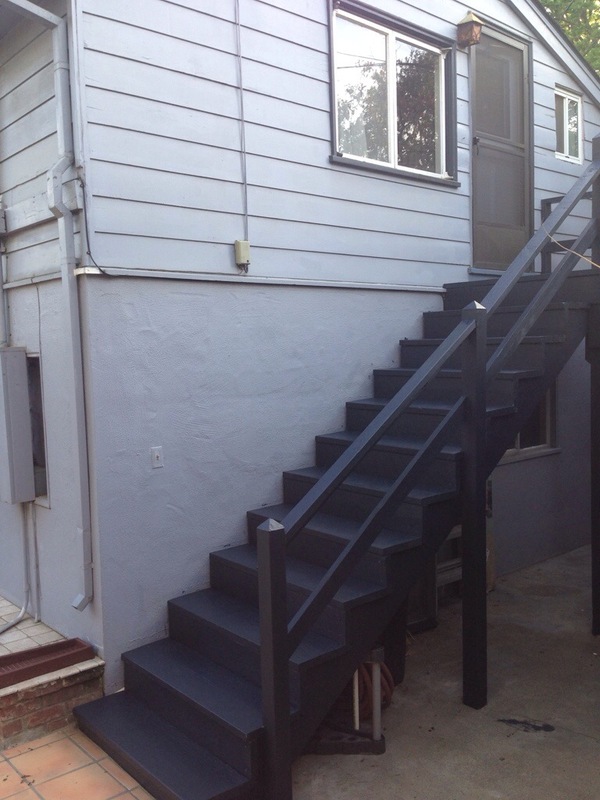 Two coats of custom match Exterior Glidden paint, one afternoon and we have these beautiful new stairs! 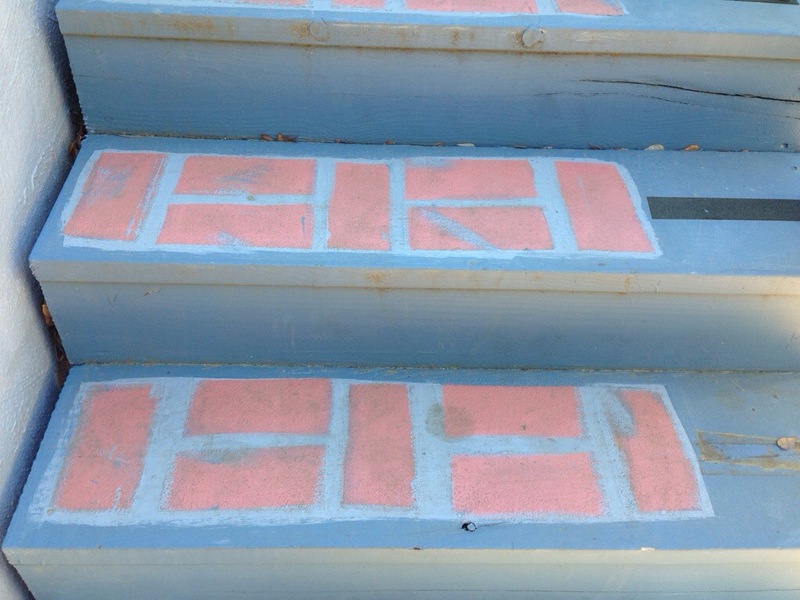 It is amazing what paint can do! 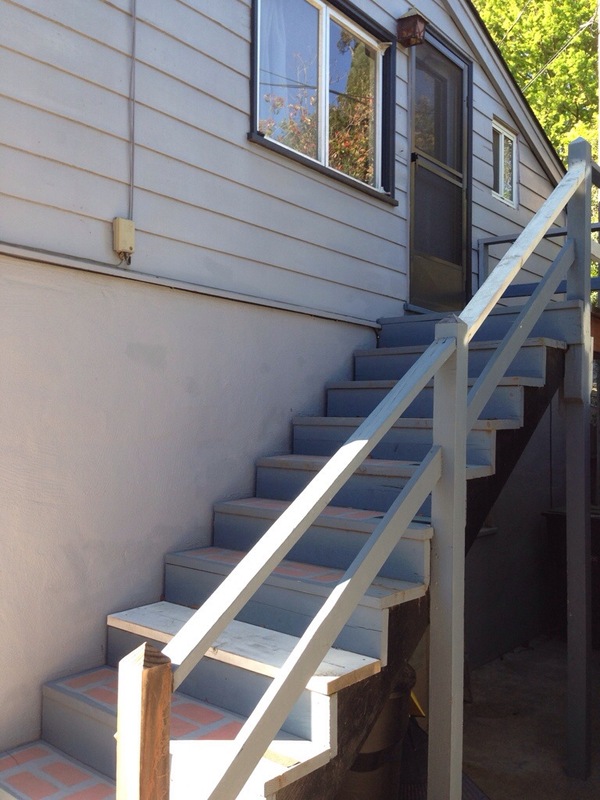 We hope in the future to extend the stair landing out and build a mini deck for (ahem… Best snobby voice) “ our guest house” but honestly we’re not fancy enough to ever call it that 😉 What kind of painting do you or your “anti-painting” spouse have this weekend? Happy Sunday everyone! 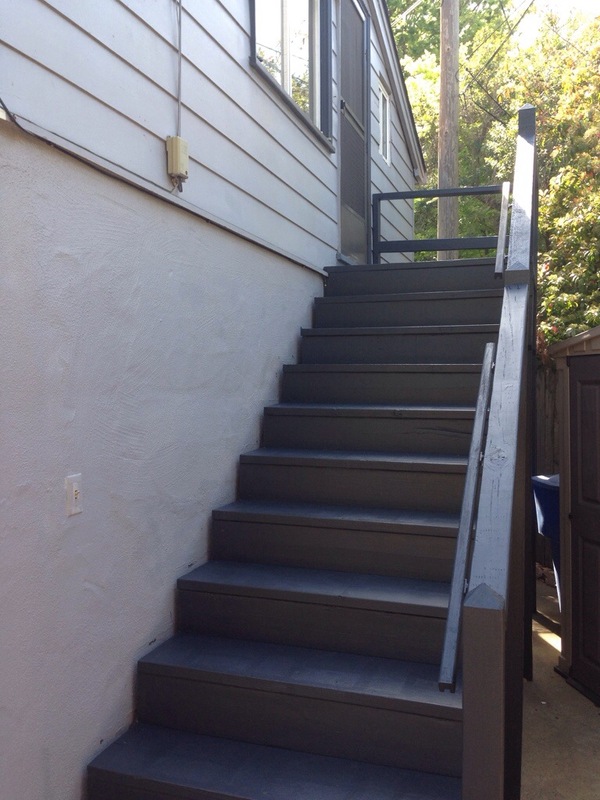 This entry was posted in Projects and tagged glidden exterior paint, granny suite, guest house, navy blue paint, painting exterior stairs by Tandra. Bookmark the permalink.